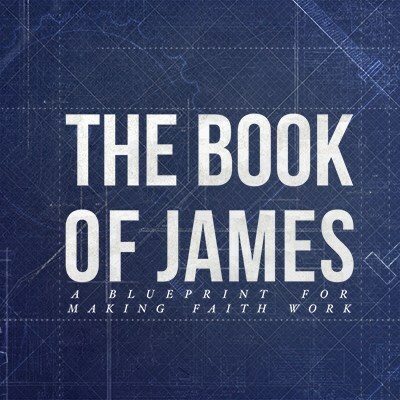 In this message, we kick off our series on the Book of James. Pastor Danny helps us understand what to do when we are faced with trials and temptations. Life can be challenging but we have a savior that identifies with us and can help us overcome every difficulty. This message is going to be helpful and encouraging to you. In Part 2 of our Series in the Book of James, Pastor Danny shares with us how important it is that we are not only hearers, but doers of God’s word. In a day where there is so much noise, it’s vital that we slow down to receive deeply all that God has for us. You are going to love this message and how it plays out in your life. Whether you call it judging others, prejudice, or favoritism, we are all guilty of it to some degree. The book of James addresses this issues and calls us to live radically different in light of Jesus’ example. Listen in as we continue our journey through James and discover a new way to live. In this message, Pastor Danny shares from James chapter 2 on the components of dynamic faith. This message will challenge you to take action with what God is doing in your life and make a difference in the world around you. In this message, Pastor Danny shares insights from James chapter 3 about taming the tongue. This is a needed concept for everyone of us. It’ll challenge you and give you hope that God can empower you to use your words to make a big difference in the lives of others. In Part 7 of our series on the Book of James, Pastor Danny shares with us some principles on how to discern the will of God. All of us need help from God in order to live the life He has planned for us. James has some important wisdom for us in accomplishing this. Listen in and enjoy! In this message Pastor Danny takes us through James Chapter 5 and teaches on how to live a life that God will reward. God has incredible promises for us as we walk in His generous spirit. This message will challenge and encourage you! In this last message in the Book of James series, Pastor Danny shares some truth for making faith work in our lives. This message is filled with hope and encouragement for you if you are in a season where you need a miracle from God. Listen in and be inspired.